Wild Stone Cool Soap creates a luxurious lather that cleanses and moisturizes leaving you fresh and smelling great! Enriched with Menthol and Sea minerals, this cool soap has an ultra-masculine fragrance. Begin each day with a refreshing bath that will make you look dapper every day. Additional Information: Wild Stone is a leading men's deodorant brand in India owned by McNROE. Wild Stone provides an array of grooming essentials for men that keeps them confident and sharp throughout the day. The brand brings the variety of high-quality grooming essentials, fragrances, skincare and shaving products. Explore the entire range of Soaps available on Nykaa. 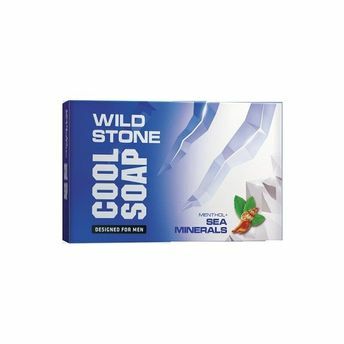 Shop more Wild Stone products here.You can browse through the complete world of Wild Stone Soaps .